I hope you have gotten off to a great start this school year! I hope you have a classroom filled with direction-followers and students that can't wait to work and participate in all of your daily expectations. Does this sound like your classroom? Or, are you already in need of some classroom management tweaks? 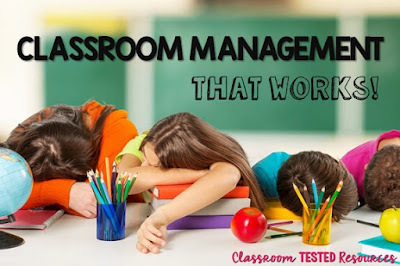 Whether you are finding classroom management success or in need of some inspiration for changes, I have some tips to help right away. Teaching 6th graders for 15 years has taught me many things-some good, some bad, some a little scary. No matter what has come my way, I adore this age. What I have found is that they are really motivated by an incentive system, and they LOVE to earn things. 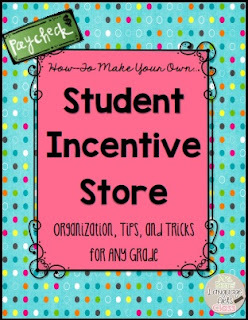 So, I turned this understanding into creating a system on my instructional team where students earn "BUCKS" throughout the week to spend in our grade-level store. Grab this resource to find out just how I created a way to inspire my students. In a nutshell, I cleared out a classroom closet, bought twenty clear bins and decorative baskets, labeled them with currency amounts, bought items that my students would love to work for, looked for donations, and vowed that every Friday would be our Eagle Buck Store Shopping Day! …and it was a raging success. My students wanted to earn Eagle Bucks because they wanted to have the opportunity to shop each week, so work ethic and behavior improved. I move some things from the closet to the back table. Items my students LOVE to buy! It has grown into so much more than I could have imagined with students helping to run the store, AMAZING donations from local businesses, and other teachers implementing a store into their grade levels. While I certainly don’t have all of the answers and can only speak of my experience, if you are looking for a way to motivate your hard to inspire students, or for a tool that can improve behavior management, this is a really fun way to achieve those goals that will cost very little. I promise your students will be inspired with some incentives to work for. Keep me posted on the positive changes you find.